CityPAC is an independent, bipartisan, pro-Israel political action committee (PAC) dedicated to strengthening the U.S.-Israel relationship. CityPAC is an all-volunteer organization that empowers young men and women to get directly involved in the political process, to learn about and support Israel, and to plan and participate in social and educational programs important to the pro-Israel community. 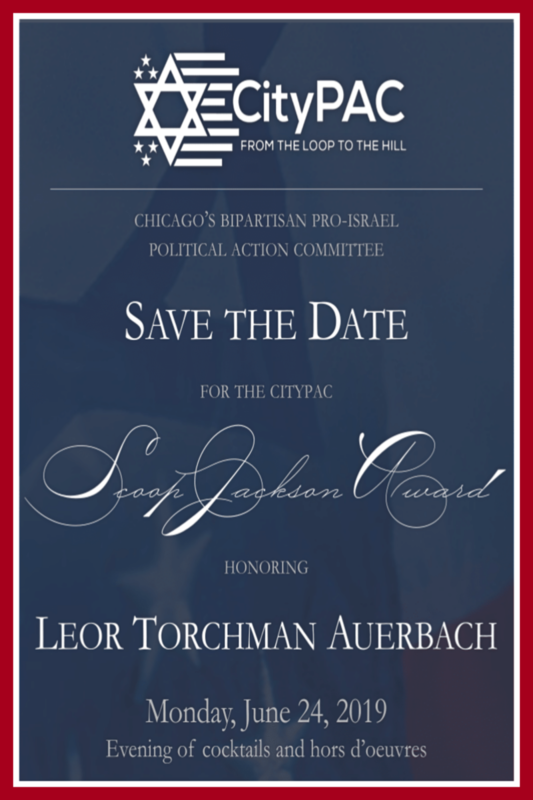 Through its work, CityPAC not only helps to maintain strong and steadfast Congressional support for Israel, but it also provides ongoing, real-world leadership opportunities for the Jewish and pro-Israel communities in Chicago. With so many important issues facing Israel, maintaining and enhancing support in Congress is more critical than ever. CityPAC offers Chicago professionals passionate about politics and Israel a host of hands-on opportunities to get involved and lead.